When it comes to jewelry I'm definitely a ring girl. Not that my hands and fingers are particularly long and elegant, but everything changes when I put a ring on. And not a small, delicate ring either. The bigger the better, and one on every finger please. 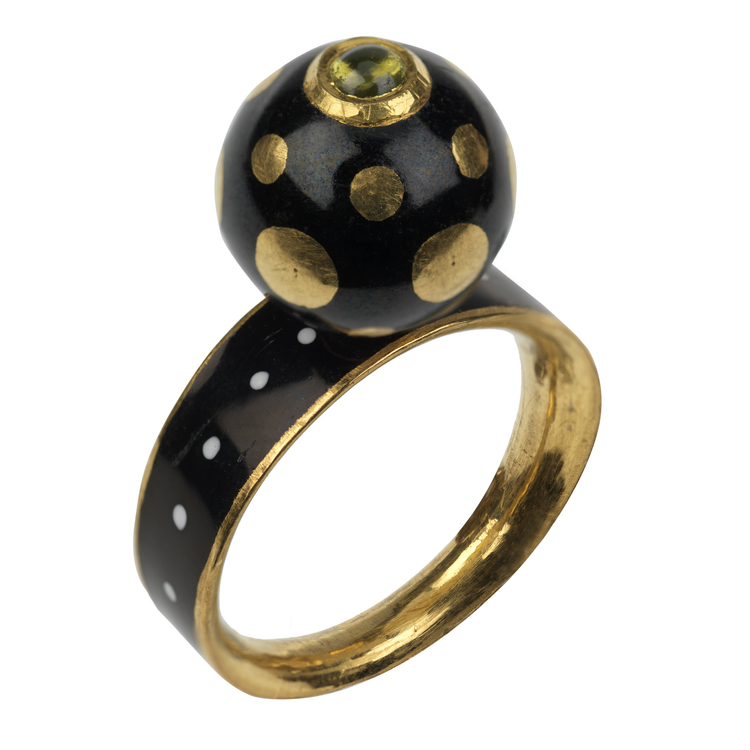 As rings go, I do lean towards gold, large stones, color and Indian design. So when I laid my eyes on the rings from London-based jeweler Alice Cicolini, they nearly popped out of my head! Cicolini's rings tick all the right boxes. Hand-crafted by Jaipur based artisans, Cicolini's rings are a creative cross between an urban sensibility and the exoticism of Indian design. Enamel, rock crystal, ebony, diamonds and rich colorful gemstones all come together in her unique style, clashing the best of both worlds. They are at once mystical and modern, old and new. They are precious but feel personal at the same time, like they were made just for you, and they can be too. Cicolini offers a Bespoke service as many of her pieces are one-of-a-kind due to the unique nature of the high-quality stones she selects and the very particular, individual design of each piece, rendering duplication virtually impossible. Cicolini's exquisitely crafted, heirloom jewels are at the top of my wish-list....now, if only I could pick just one!